Colorado’s medical cannabis program began with the passage of Amendment 20 in 20001. Cannabis was legalized to treat a specific list of medical conditions, as designated in Amendment 20, with the Colorado Department of Health and Environment (CDPHE) having authority to add conditions. These conditions currently include: Cancer, Glaucoma, HIV or AIDS, Cachexia, Persistent Muscle Spasms, Seizures, Severe Nausea, Severe Pain, and Post Traumatic Stress Disorder (PTSD)2 . Since then, thousands of families have relocated to Colorado to treat themselves and/or their loved ones after pharmaceutical options failed them. Among these patients are children who suffer from life-threatening disorders/diseases such as epilepsy, cancer, cerebral palsy, and other genetic disorders that cause neurologic and muscular symptoms, as well as extreme pain. Cannabis provides them relief of symptoms, healing from their ailment, and a path to their highest possibility of health. To many families, this healing plant has been nothing short of a miracle. As Colorado continues to implement Amendment 20, the legal ramifications continue to unfold. Since Cannabis is still a Schedule 1 substance, making it federally illegal, patients face considerable risk following the path of cannabis treatment. Even in Colorado, laws, and rules of governance have not caught up with the legalization of medical cannabis, and the stigma of using a “controlled substance” haunts parents at the doctor’s office, school, hospitals, long-term care facilities and in the Child Welfare System. Patients, and especially parents of pediatric patients, face a serious risk of persecution. Doctors, school personnel, and social workers are still quick to report even legal cannabis use to child protective services (CPS). Unfortunately, the resulting investigation whether substantiated or not causes significant harm to families who are already living under duress. Despite the scientific evidence that cannabis effectively treats a myriad of conditions such as epilepsy and cancer, there is considerable work to be done to bring cannabis treatment into the mainstream, both socially and legally. The key to propelling change is education. In our medical paradigm, Nurses are best positioned to lead this change. 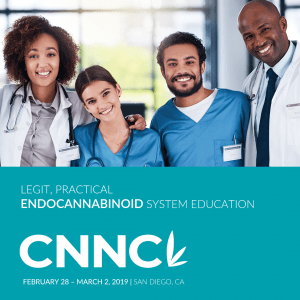 Nurses are on the front line with both patients and doctors (both traditional and those who recommend marijuana), so they must be equipped to deliver knowledge on the Endocannabinoid System (eCS), treatment delivery options, and the laws/rules governing the use of cannabis. Nurses can lead both doctors and patients into a new health paradigm that includes the natural, holistic benefits of the cannabis plant. One of the most vulnerable populations currently using medical marijuana are children—not only medically, but socially. As of April 2017, there are 292 children on the Colorado Medical Marijuana Medical Registry age 0-17, and 2,812 age 18-203. Many of these children are medical refugees whose families left everything in their home state to try cannabis as a desperate, last-ditch effort to save their child’s life. Many families move here quickly, without resources or support, and without any knowledge of Colorado’s marijuana laws, medical or school systems, or what cannabis treatment even looks like. These families are very vulnerable, to begin with due to the nature of their child’s condition and often struggle to survive. Fortunately, once a parent discerns the proper course of treatment, cannabis begins to heal their child, bringing hope and vitality back to the child and the family. However, without the proper support and education, some families do not even reach this point. That’s where cannabis-specific foundations, support groups, nurses, and doctors come in. There are several organizations in Colorado which patients and their families can join to help them learn to navigate their medical marijuana path. For example, CannAbility Foundation11 provides advocacy, resources, education, and financial support; American Medical Refugees specializes in community support and resources, and Cannabis Patients Alliance12 unites patients and provides advocacy and information about cannabis and cannabis policy. Patients and their families need Cannabis Nurses to help them work with their cannabis doctors to find the most effective course of treatment and counsel them on how to work with traditional doctors to incorporate cannabis into their often extremely complex treatment regime. Families access cannabis medicine through dispensaries or caregivers. So what do children do when they get healthy? They go to school! Many children have medical issues that require medication to successfully engage in their education. Children commonly take pharmaceutical medication at school without issue—even controlled substances such as narcotics and amphetamines (Ritalin, fentanyl patches, etc.). Submit a doctor’s note stating the necessity, dosage and time of administration. A nurse or nurse’s aide administer the medication in the school clinic. However, because marijuana is still a Schedule 1 federally illegal substance, schools do not allow it on campus, much less allow nurses to administer it. Also, most schools are considered “Drug-Free Zones” under Federal regulation. Tragically, pediatric medical marijuana patients who have finally achieved a level of health that allows them to thrive and engage in their education, are barred from attending school. 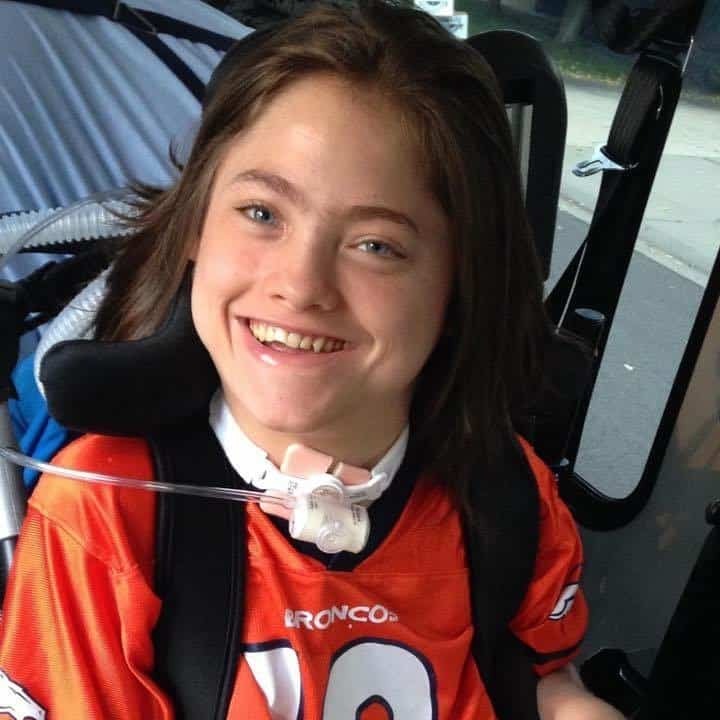 I experienced the school barrier in the February of 2015 after I began treating my son, Jack Splitt, with cannabis to treat his severe spastic quadriplegic cerebral palsy complicated by severe and debilitating dystonia. Jack went to school with a private duty nurse (PDN) because he was on life support, wheelchair-bound, deaf, non-verbal and fully dependent on others for all Activites of Daily Living (ADL’s). The PDN administered all of his medications, including his cannabis. I did not know that marijuana was prohibited at school and assumed it was okay because he had a medical marijuana card and his cannabis medication was reported on his school health plan. I treated his cannabis like any other medication he was taking. However, the school’s district area nurse did not. The day the school’s district area nurse noticed the transdermal cannabis patch on Jack’s arm, she questioned his PDN about it. Seeing nothing wrong, the PDN fully disclosed what the patch was. The school nurse immediately informed the PDN that it was not allowed, took the patch off his arm, confiscated his THC/CBD oils, and told him he had to go home. The PDN called me at work and reported what happened. I was so outraged that a medical professional would take a child’s medication off his body that I called the local news. They immediately met me at the school and interviewed us. The story aired on Denver’s CBS Channel 7 news that evening4 . The school principal agreed to return the cannabis medication but asked that Jack not return to school with it. A few days after the news story aired, I was contacted by Representative Jonathan Singer’s office and Greg Duran from the patient advocacy group, Cannabis Patients Alliance12. They invited me to the Capitol to see what could be done to address the issue. While we discussed legislative solutions, Representative Singer said to me, “Well, if you’re willing to stick your neck out, so will I.” Being new to the world of cannabis, and assuming it was safe and legally protected, I did not understand why he said that. I would later find out that all is not necessarily safe for the parent of a medical marijuana patient. Working with other legislators and the Cannabis Patients Alliance, Representative Singer proposed an amendment to another marijuana bill they were working on, the Caregivers Act which created definitions to regulate “caregivers” who help patients who cannot grow/make their own medicine or access it in a dispensary5. The amendment would allow medical marijuana on school grounds6. Jack created quite a stir when he testified in support of the amendment (he’s non-verbal, so I interpreted for him). It was impossible for legislators to deny him access to his passion: Learning. He changed the hearts and minds of the legislators that day. The Caregivers Act passed, and so did the amendment, which was named “Jack’s Amendment” in Jack’s honor. Governor John Hickenlooper signed it into law in May of 2015 (see below) with Jack sitting across from him. The Governor shook his hand and gave him the pen he signed the bill with. The legislators presented him with a certificate, a Colorado flag, and t-shirt signed by everyone at the Capitol to honor his work. Unfortunately, schools refused to honor the law, stating that they feared to lose their federal funding for allowing an illegal substance on campus. Representative Singer and I sat down again in 2016 to craft legislation to require schools to make policy allowing children to take their cannabis medication on school grounds. Senators Chris Holbert and Vicki Marble sponsored the bill in the Senate. We proposed the legislation based on the federal IDEA law (Individuals with Disabilities Education Act) that states with disabled children are entitled to necessary accommodations to treat their condition to receive the Fair and Appropriate Education (FAPE) that every child is also entitled to under federal law7. The original bill, HB 16-1373, included language that would reimburse schools with money from marijuana taxes for any federal funding they were denied, but was quickly met with resistance and was amended to say that schools could opt out of the policy if they could prove that they lost federal money as a result of a child using medical marijuana at their school8 . The bill required schools to allow medical marijuana use, in a non-smokable form, on school grounds, at school functions, and on school buses, by students who have a Colorado Medical Marijuana card. It also requires that the medication is given in a private location, away from other students, and that it be administered by a parent or caregiver who is approved by the school. Also, the bill included language that prohibited school nurses, and other school personnel from administering the medication (which was included to qualm fears of violating the Colorado Nurse Practice Act- an area that nurses can focus on in the future). CannAbility Foundation, (a non-profit organization I founded in Jack’s honor that seeks to provide advocacy, education, resources to parents of medically fragile children who want to treat their children with medical marijuana) launched a large grass roots campaign to garner support for the bill, which included courageous mothers of severely disabled young medical marijuana patients. Together with a new marijuana lobbyist who worked for us pro-bono because of how cannabis helped her terminally ill father, we educated legislators, the community, and numerous stakeholders (including police, school boards, the Department of Education, hospitals, and anti-marijuana groups) about what medical marijuana is, how it safely administered, and the remarkable healing experienced by the severely afflicted children who use it. We were met with both overwhelming support, and hysterical opposition. By educating people about these common misconceptions, we were able to turn the tide. HB 16-1373 overwhelmingly passed the House by a vote of 56-9. In the Senate, the bill passed committee unanimously with a historic “standing vote” where each committee member stands to cast their vote to honor the people bringing forth a bill of monumental importance to the state of Colorado. The bill then unanimously passed the full Senate, 35-0. 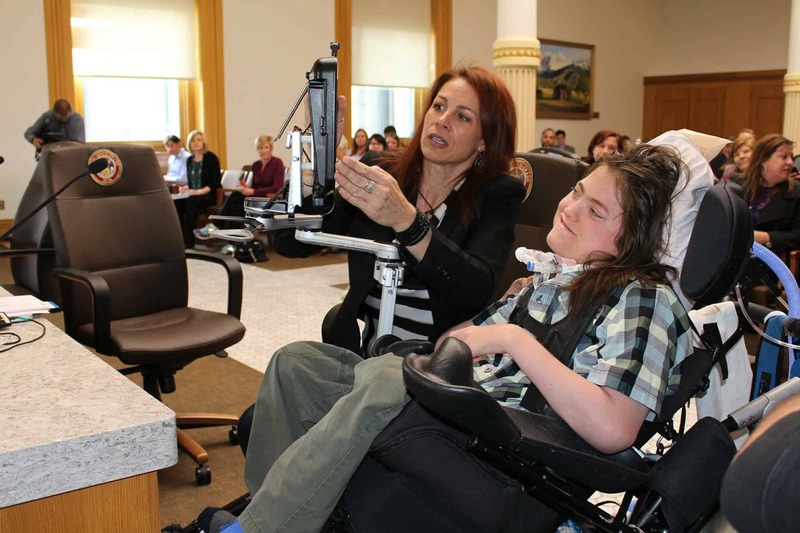 The bill was amended to be named “Jack’s Law,” to honor the courageous and charismatic Jack Splitt who, despite the debilitating and painful symptoms of his disease, spent hours at the state Capitol changing the hearts and minds of the legislature and the people of Colorado. To this day, legislators thank him for changing the spirit of marijuana legislation. The first school district to write a policy implementing Jack’s Law was D49 (Falcon) near Colorado Springs. Douglas County quickly followed suit, adding protection for children taking CBD (hemp falls under different laws than marijuana). And Jefferson County, where Jack went to school wrote a policy soon after that. Each of those policies was influenced by a tenacious mother of a child taking medical marijuana at a school in their district—who also helped worked to pass Jack’s Law. When pharmaceutical options failed, I began treating my then 14-year-old son, Jack Splitt, with medical cannabis in July of 2014 to relieve the symptoms of his severe spastic quadriplegic cerebral palsy complicated severe dystonia. This was not an easy decision as I knew nothing about marijuana and Jack was already on 30 or more medications—including benzodiazepines, anti-epileptics, antidepressants, and anti-psychotics (though he did not have seizures, psychosis or depression). These medications left my intelligent, engaging, life-loving child feeling like a “zombie” (Jack’s words) and unable to engage in learning and socializing—his favorite things in life. I was afraid to add or subtract medications from his treatment plan because, like most medically fragile children, he was sensitive to changes and interactions. Plus, if cannabis did not work, Jack would have been in danger of dying from complications of his condition. He was on life support (ventilator/tracheostomy, feeding tube) so sustaining life was tenuous already. It took another mother of a child with the same diseases reporting success before I would take the plunge. She had treated her son’s seizures with marijuana and noticed the symptoms of his dystonia (severe and constant full body muscle contractions) declining. She reported being able to titrate her son off many of the destructive, side-effect inducing pharmaceutical medications he was on, a substantial decrease in his pain and dystonia, and a marked increase in his daily functioning and quality of life. After obtaining a medical marijuana card through the Colorado Department of Public Health and Environment (CDPHE) Medical Marijuana Registry, I began treating Jack with an oil extract made from a 20:1 (CBD:THC) strain. The recommending physician gave parameters to start dosing this high CBD strain at 0.5mg/Kg of body weight. I administered the oil via his g-tube twice daily. Remarkably, I saw a decrease in his anxiety, spasticity and dystonia within an hour. I consulted with Jack’s neurologist about titrating him off the pharmaceutical medication he was on—a daunting process since those medications are extremely addictive. A few months later I learned that CBN has muscle relaxing properties so tried using CBN transdermal patches applied to his wrist. Again, I saw more relief of his severe muscle spasms. As I titrated more of the pharmaceuticals, it seemed Jack needed more cannabis. His doctor recommend adding THC to his regimen, so I changed his oil to a 15:1 strain and noticed yet more alleviation of his dystonia and pain. As his disease progressed and we experimented with strains and THC levels, we found the best course of treatment for Jack was a high THC oil administered via rectal suppository 3 times daily, and a CBN patch every 12 hours for maintenance dosing. In addition, he used a high THC tincture and/or CBN tincture under his tongue as needed for breakthrough episodes of dystonia. Thanks to Jack’s Law, Jack’s private duty nurse was able to administer his maintenance and rescue doses at school (that made Jack laugh). Tragically, a few weeks after the start of the 2016 school year, Jack Splitt succumbed to his disease. The Denver Post released a front page, a four-page story about Jack and the passage of Jack’s Law on August 23rd, 2016. (9) Jack was so proud and told me he felt blessed to be able to help other children like him. Having accomplished what he set out to do, he passed away the next morning. With his stunning smile and sparkling blue eyes, his wit and his genuine charm, Jack Splitt changed hearts and minds all over the world, forever changing the face of medical cannabis. He will be remembered for his magical smile, his contagious sense of humor, and his unwavering perseverance in the face of extreme hardship. Though several school districts in Colorado have written a medical marijuana policy, many have not. Some have not done so only because they have no children in their district who use medical marijuana. A few, such as Denver, are refusing. Cannability is currently working with legislators and policy makers to bring them into compliance. Another issue is the inability of school nurses to administer cannabis medication. This is where more work needs to be done in changing legislation. It is cumbersome for parents to get to school to administer medication—and makes rescue dosing almost impossible in a timely manner. 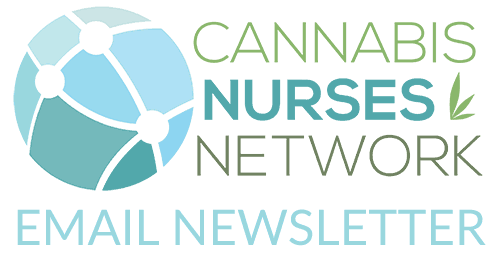 In Colorado, nurses can help by pushing to change the Nurse Practice Act to explicitly allow nurses to administer cannabis medication. At the federal level, we must all take action to completely legalize cannabis and get it off Schedule 1 and decriminalize this simple plant. Jack’s Law opened the door to discuss pediatric medical marijuana and brought marijuana into schools. We now have a unique opportunity to create education programs to teach parents, school children and school Personnel about marijuana— both the medical benefits and how to prevent children who are not patients from using marijuana. Besides, in the 2017 legislative session, a bill was passed which created the Jack Splitt Memorial Marijuana Education Database10, 13. This database will be used by schools to teach not only youth prevention but to educate people about what medical marijuana is. Education is the key to changing the laws and the social paradigm surrounding marijuana, so it is appropriate to start that education in schools. School is not the only place that needed a policy change. Children taking medical marijuana generally see several traditional doctors to manage their conditions, and they end up spending a lot of time admitted to hospitals as a result of their conditions. Some traditional doctors refuse to work with pediatric patients who report using medical marijuana, and some become suspicious or give false information about medical marijuana. These practices interfere with effective treatment of often complex medical conditions. Very few hospitals allow the administration of marijuana while a patient is admitted so children are forced to stop the marijuana treatment that is necessary for them to heal, and in fact many of their symptoms worsen while hospitalized. The same holds true for rehabilitation centers and long-term care facilities, as well as group homes for disabled children. Providing marijuana education is crucial to upholding patient rights and changing the medical establishment’s view on marijuana. Since nurses are an integral part of this establishment, they play a key role in educating and developing new policy. Perhaps the most important place to change the current paradigm is in the child welfare system. Under current laws, any exposure to marijuana can be considered to be child abuse. Exposure can be as simple as a child being in the presence of a family member’s medical marijuana. Parents who treat their children with medical marijuana are in the spotlight and are in danger of investigation. Any investigation by Child Protective Services (CPS) causes trauma to the entire family—whether there is a finding of abuse or not. In addition, parents who use medical marijuana themselves are subject to scrutiny—especially pregnant or nursing mothers. Most hospitals test newborns and their mothers for THC and report positive findings to CPS, which leads to an investigation. Investigations often lead to removal of the infant from the mother, and at the very least, trauma to the family. Due to lack of education, a gap between child welfare policy and medical marijuana laws, and the prohibitionist stigma attached to marijuana use, many families are unnecessarily persecuted. Jack’s Law not only made it possible for children who depend on medical marijuana to survive and thrive to go to school, but it also forged a new pathway for disseminating the truth about marijuana. It is crucial that we build on this momentum and continue to educational institutions on the health benefits of medical marijuana. Jack wouldn’t have it any other way. Thanks, Jack! 2. Qualifying medical conditions, Medical Marijuana Registry, 2017. 3. CDPHE, Medical Marijuana Database, employee interview, 6/14/2017.